Let it burn, let it bleed. When you're ready to rock out, offer your fans the cure for what ails them. While the music wails, they can use the Rock Concert Red Drink Ticket to help themselves. 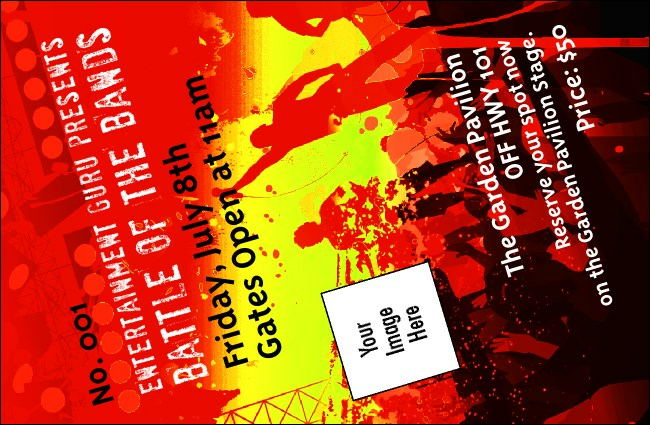 Upload your own custom image to the template and secure the whole Event Kit to own this ticket. It's all right now! You've found the right Event Kit from TicketPrinting.com.